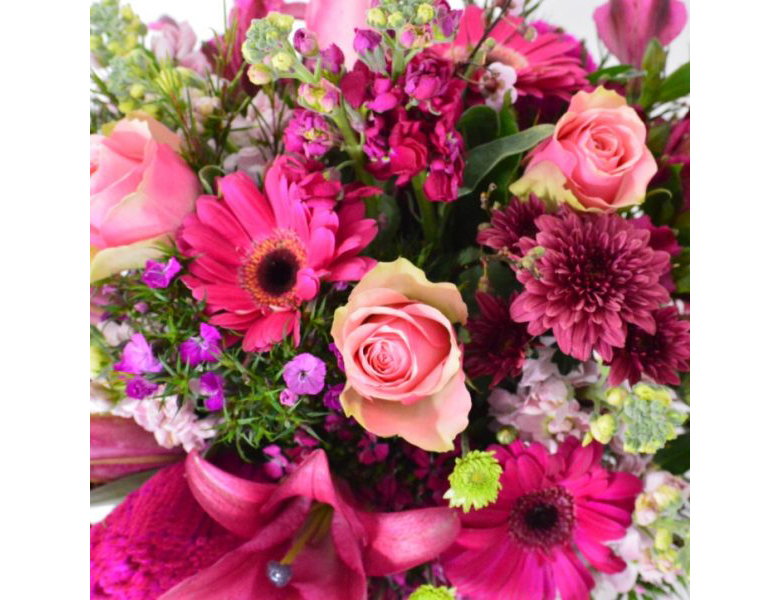 Valentines Day Pink Flowers Bouquet. Exciting mix of assorted pink flowers including roses, gerberas, lilies, orchids, chrysanthemums and greeneries. Very Interesting and pretty in pink.